The modern reverse proxy your cloud was waiting for. Traefik 2.0 alpha is now available! With TCP, SNI, CRD, middlewares, new expressives rules, new doc, and much more! Shipped as a single binary or as a tiny docker image. Automatic and dynamic configuration. No restarts! Load balancer, circuit breaker, retry, websocket, HTTP/2, GRPC, Let’s encrypt, and more. 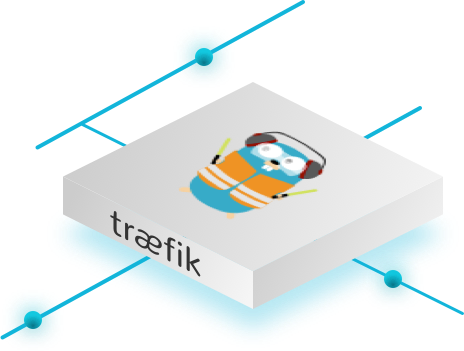 Traefik is a production-proven modern reverse proxy that configures itself automatically with the help of your existing infrastructure components. High Availability with cluster mode (beta). Provides HTTPS to your microservices by leveraging Let's Encrypt (wildcard certificates support). Traefik has already handled billions of requests and continues to power the infrastructure of demanding companies. Traefik configures itself automatically and dynamically. Bring your microservices architecture to life now!